When the director walked the red carpet last week at the Gotham Independent Film Awards in support of his film “A Dangerous Method,” he stopped to speak again with MTV News’ Josh Horowitz. The most critical element with this movie is, of course, the wedding (*spoiler alert* though, ed note: WHERE HAVE YOU BEEN IF YOU HAVEN’T SEEN IT TWICE ALREADY? ), and this was misleading in the previews but there’s a dream sequence wedding and a real wedding. How did you delineate the two dresses from each other? The script gave us a great opportunity to get inside Bella’s thoughts about the impending wedding. There’s a nightmare wedding and her perfect wedding. For the nightmare, we chose something that was a version of the dress that she would hate to wear. Something that’s uncomfortable and a dress Bella would be embarrassed in. It was stiff and had a boned bodice that showed a lot of bare skin which she’d be horrified by because she’s a bit of a tomboy. There’s nothing very girly about her style so we had a huge, cumbersome, puffy skirt. We just tried to picture everything she’d find difficult to deal with and import that into a dress. The real dress fit Bella like a second skin and I was really glad about how all that worked out. It reflects her simplicity and elegance. It’s not too girly, I thought it really hit the right note of having some vintage elements while working well for a modern woman. Edward looked phenomenal in his tuxedo. Details on the boys please! We put a lot of work into that too because we wanted to have them display a special, made-to-order feel. We didn’t want people to feel like you could just go out and buy them. Well, there’s nothing off-the-rack about any of this. [Laughs] No off-the-rack! Never. I drew up my ideal ideas for all the tuxedos. We wanted them to have a vintage feel, that sort of Edwardian turn-of-the-century vibe. Edward says, “I’ve been waiting a hundred years to marry you,” so we thought Alice would have fun riffing off of that. But at the same time we didn’t want it to look theatrical, we wanted contemporary, young, and fresh. I drew up something that combined the lines of Edwardian formalwear and we made it up in beautiful contemporary Italian wools and gorgeous shirting materials. We had a fantastic collaboration with Brioni. Do you know Brioni, the wonderful Italian tailors? Can we get onto a really important topic now? Um. Edward. IN SHORTS. Discuss. Insane! I’d never dreamt that I’d see the back of that man’s knee. There’s going to be so many inches of journalism written about this. It’s breaking news. It’s MAJOR. It’s a challenge to put an Englishman in shorts. And Robert Pattinson is an Englishmen. They have an instant freakout! I think it has to do with their public school uniforms that they wear as kids. It’s all charcoal boiled wool. Completely. Itchy, scratchy… they go, NOOOOOO long pants! We tried all sorts of different lengths but we ended up with a really classic look. My references were the Kennedys on summer vacation. That classic American summer wear. We went crisp with cool natural fibers, nautical navies and whites, trying to capture that classic style. More often than not, we went with a rolled-up chino but we didn’t think we could get away with not doing a short for a Brazilian scorching honeymoon so there you go. Another young actor whose acting ability has polarized critics is Twilight star Robert Pattinson, who stars as a millionaire enduring a limo-driven odyssey across Manhattan in Cronenberg’s next film—an adaptation of Don DeLillo’s novel Cosmopolis. Kellan Lutz mentions Rob and Breaking Dawn in a new interview with InStyle. Before we get into your turn as a Greek god, please tell us about something we’ve been waiting for since last year’s Eclipse: What was it like filming Bella and Edward’s wedding in Breaking Dawn? Well, it sucked for the girls beacuse it kept raining. I was comfy in a suit, but they were in dresses and looked, well, vampirically pale because it was so cold! But it turned out beautifully. Kristen (Stewart) looked so good in that dress, and Rob (Pattinson), of course, was studly. The fans are going to melt and swoon. You can read the rest of the interview at the source . Guri Plays Stephan in Breaking Dawn. He posted this on his blog. If you don’t know about the GFYS game your can read about it here . I am quitting smoking. I use the verb in it’s present tense because I still don’t feel entirely comfortable using the past tense. I have fallen off the non-smoking wagon so many times in my life that it may ALWAYS seem like a process. For anyone contemplating smoking – just slap yourself for me. Detoxing when you stop is just ridiculously uncomfortable. And, you know, you miss it. More accurately, you miss the social aspects. On Breaking Dawn, I would generally find Rob Pattinson already smoking when I’d go outside to sneak a few puffs in. We would generally start chatting about whatever, he’d get fired up about whatever we were discussing and he would then generally finish his cigarette and ask for one of mine. He’d light another one and we’d keep talking. Then I’d light another one. We would chain smoke if there was a long enough break on set. I hate to say that’s how we got to know each other but that’s how we got to know each other. As shooting went on, I was smoking a LOT. Getting sick, looking tired, yada, yada, yada. So, I started my daily rant that my wife is ALL too familiar with through many attempts to quit – ” I gotta stop smoking”. Since I am passed 30, that doesn’t seem too good. Silence. I’m waiting for the “but”…it’s not coming. He’s laughing hard now. He keeps trying to talk but he’s laughing too hard. Feigning intense indignation, I get up to go to my room. Now, he’s having trouble breathing, he’s laughing so hard. But, I’m still thinking…man…I have been smoking for way too long. You can read the rest here . FANG: You and your GOOD NEIGHBORS co-star Emily Hampshire appear in David Cronenberg’s latest, COSMOPOLIS. Can you talk about that and working for Cronenberg? BARUCHEL: Again, this is a movie that I agreed to do without knowing what I’d be doing in it. I was sort of just keeping my fiancée [Allison Pill] company in Manhattan while she was doing her play. My greatest ambition was to just write horror. And that’s been picking up after my work on [co-writing] GOON. My writing partner [Jesse Chabot] and I got hired on a couple of things, and so on-camera acting was the furthest thing from my mind this year. And then they said, “You want to go to Toronto and do two days on the new David Cronenberg?” I said, “I’ll pick up that man’s f**king dry cleaning.” I’ll do anything to meet him. He’s one of my original heroes. For a Canadian who wants to make horror movies for the rest of his life, there’s no greater hero or no more important figure than David Cronenberg. It was a very, very easy “yes” for me. And showing up there, once I got past the initial butterflies in my stomach and the jitters of not only getting to meet one of my heroes, but getting to work with him, that took some getting through because I was flabbergasted. Here I am, getting to watch him do his thing, in his environment. But once I was past that, it was the easiest job I’ve ever had. It was simple and fun and exciting and I could retire tomorrow because I’m in one of his flicks now. FANG: Who do you play in COSMOPOLIS? BARUCHEL: The thing is incredibly dense and ethereal and mostly it’s just dialogue heavy. It takes place in the early 2000s during a version of the dotcom boom. It follows Robert Pattinson’s character, who’s the CEO of one of these tech companies, and he’s on his way to work and he’s trying to get a haircut and that’s the movie. And 90 percent of it takes place in his limo en route to get a haircut. He has all these different meetings with people he works alongside, and they come in to the limo, he has a long, sort of philosophical conversation with them and they get out, they exchange seats, and I’m the first guy he picks up. I’m the guy who started the company with him, and I’m a young, rich, upwardly mobile tech head. We have a four-page long existential scene about the nature of 20th-century living and then I disappear. It was the most satisfying, interesting, exciting and every adjective in the book. It really, really nourished me. I know I’m a better actor, a better writer and a better person for it. The trailer for Robert Pattinson’s film upcoming ‘Bel Ami’ has been released, in which the London born actor plays a young soldier in 1890s Paris. 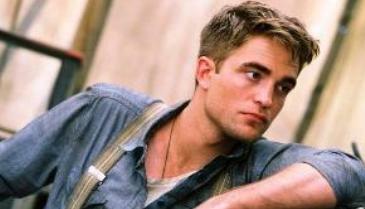 Adapted from the the Guy de Maupassant novel, Pattinson stars alongside Irish actor Colm Meaney. Meaney, originally from Dublin, spoke about Pattinson’s screaming fans in a Late Late show interview. “In Budapest we were shooting and it was mad because…it really was like what you would imagine Beatlemania was like,” Meaney said. No matter where they filmed the Irish actor said there were “screaming girls everywhere” eager to see Pattinson. “And they camped there for three days in miserable weather hoping to catch a glimpse of him,” Meaney recalled. In his latest film the “Twilight” star plays a womanizer who uses his powers of seduction to climb the social ladder. A release date is yet to be announced. Q: Can you talk a little about the film’s cast? A: When I read the book myself I thought of Reese because of a paragraph when Marlene (Reese’s character) is first introduced it described her complexion — the kind of beauty she had. It was sort of this glow, this sort of peaches and cream translucent beauty within the squalor of where the horses and the animals and the menagerie was. Who popped into my head was Reese, but it wasn’t just my decision; Francis (the film’s director) felt the same way and she was his first choice I think. And Robert really has a lot of 1930s leading man qualities; he’s one of those actors who the camera just adores in the way that they did with 1930s leading men. And Christoph is just such a fine actor there’s no question about Christoph to make August (the main character’s rival in the film) a complex character.